The mysterious country of Iceland is known for being the land of fire + ice. 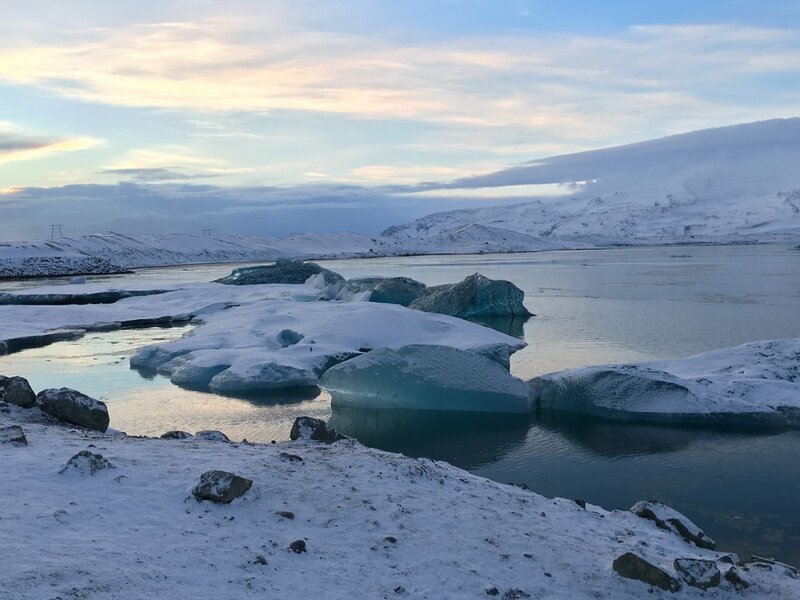 In preparation for winter in Iceland, make sure to pack essentials such as a coat, snow boots, scarf, gloves, a hat, thick socks and thermals. But don’t worry, if you’ve endured a NYC or Chicago winter, you’ll be fine here! My number one advice while in Iceland is to stop on the side of the road to pet every Icelandic horse you can get your hands on— they're adorable! 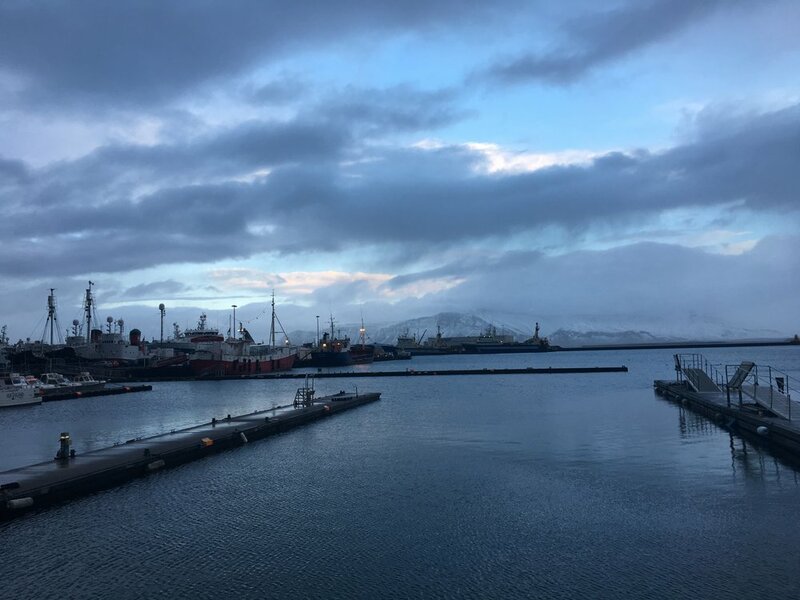 There is one thing you HAVE to do on your first day in Reykjavik— take a FREE two-hour walking tour of the city. This was probably the best move of the trip. City Walk has informative and funny guides and there’s no doubt you’ll finish with so much knowledge about the city. From political movements to food to landmarks to random facts, you’ll set a solid foundation for the start of your trip. 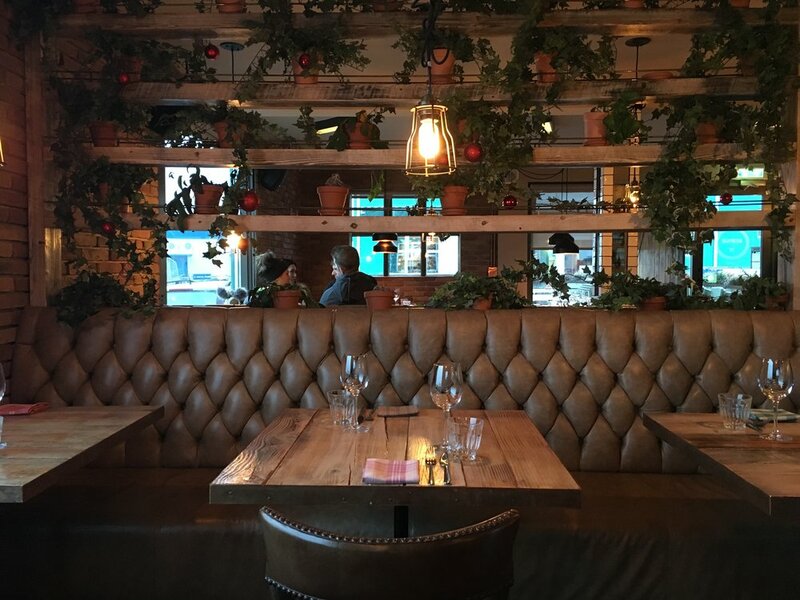 Sit down for a meal with fresh Icelandic seafood and produce at Kopar located in the Old Harbor. Ask for a table by the window for a scenic view of the harbor and to watch the sunlight turn into darkness. 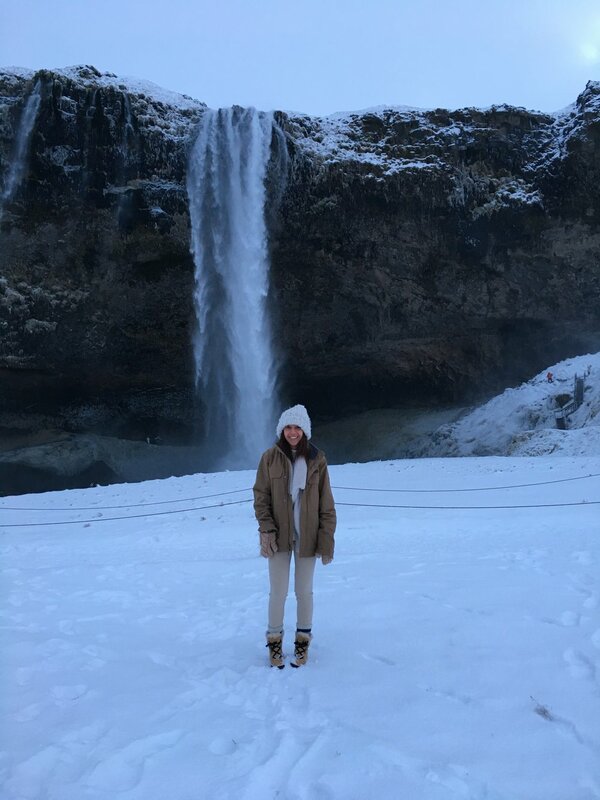 For us, we also watched the weather transform from cloudy to rainy to snow to clear ☺ That’s Iceland for ya! My personal favorite dishes were the bread + butter with whey + licorice and the blue ling fish. Check-in at the inexpensive, yet comfortable Harbourfront Guesthouse to sleep off your jet lag. Today is the day to explore Iceland’s stunning landscapes. 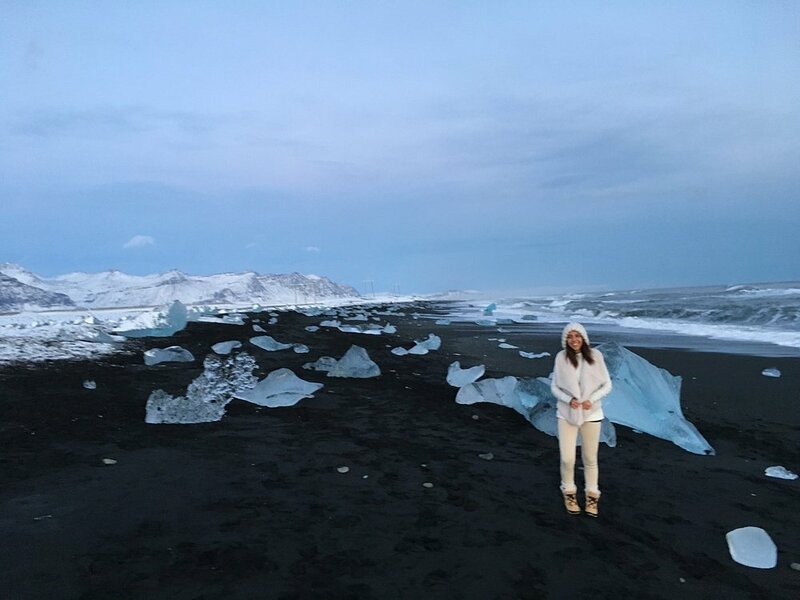 The Golden Circle is a beautiful day trip from Reyk that hits four amazing sights. Depending on how long you explore each place and weather conditions, I’d say this trip takes about five hours. Next up on the route is Haukadalur, a geothermal area known for its geysers. Before checking out this spectacular natural phenomena, stop for a snack at Kantina (across from the geysers). Their mushroom soup is a delicious snack to keep you warm! In addition, Skyr yoghurt is made in Iceland and is SO yummy!! I personally recommend blueberry Skyr. 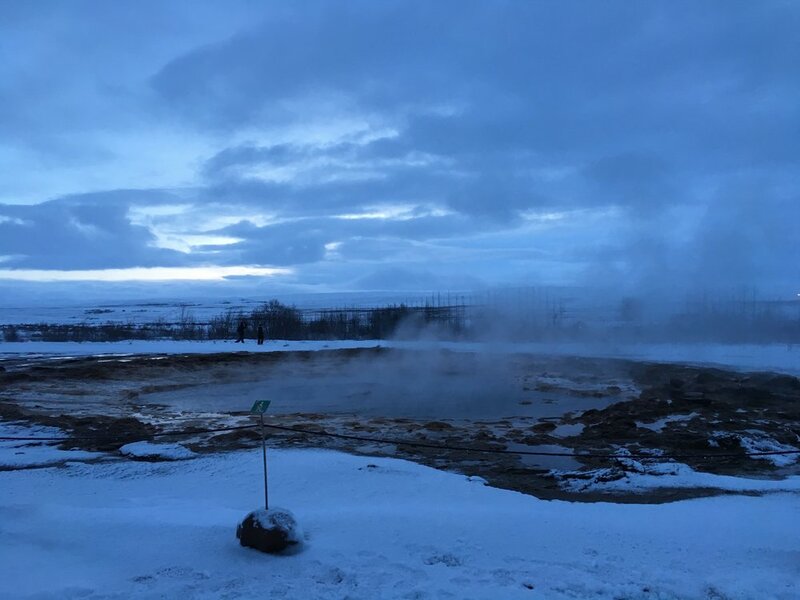 Okay, now that you’re warm and not hangry, cross the street to see two of Iceland’s famous geysers; Geysir and Strokkur. Warning: It’s windy and you’ll get wet. This is my favorite attraction on the Golden Circle route! You’ll have to backtrack a bit to continue on the Golden Circle route. Do not try to continue on the road past Gullfoss (it’s a major F-road). Last but not least on the Golden Circle route is one of the lesser-known attractions, Kerið Crater Lake. It was once a typical shaped volcano but has since collapsed and is now filled with water. Though I didn’t do it, I’ve been told that it only takes five minutes to hike down it. 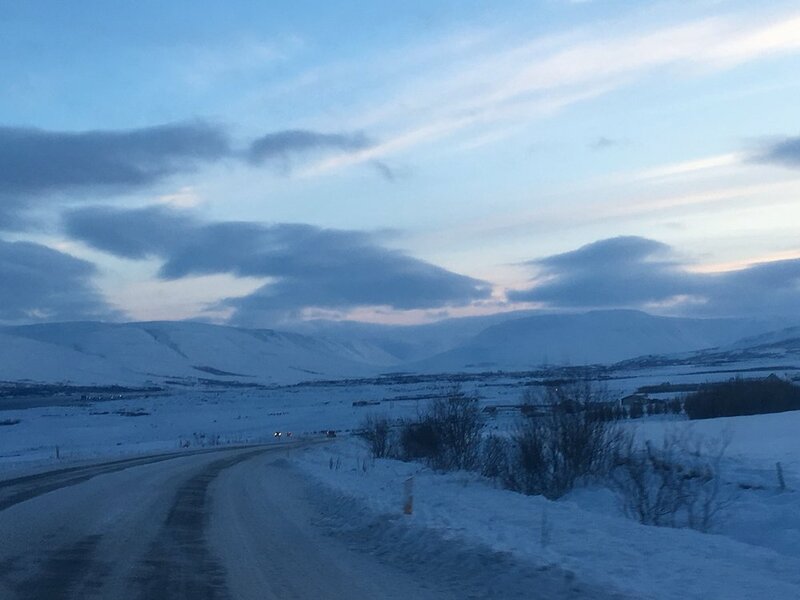 If you run out of daylight time while touring the Golden Circle, I’d recommend leaving the crater out of the itinerary. On your drive back to the capital you’ll see a little coffee shop on the left side of the road called Bokakaffio. Unfortunately I cannot find a link for them but if you see it on the left when approaching a small town, do stop! It’s an adorable coffee shop/bookstore with a piano if you fancy brushing up your skills. Head back to Hafnarfjörður to have to time meander the streets of the Viking Village. The town has two other names: The Town in the Lava and The Town of the Elves. To clarify—the town is built on a lava field and it’s said that Icelandic elves live in lava rocks. It’s time to say goodbye to the capital for a night and head to Höfn, with a stop in arguably the most exciting part of Iceland— the glacier lagoon! Before heading out on your exciting adventure, grab coffee and pastries at a tiny coffee shop across the street from the guesthouse called Norðurbakkinn. 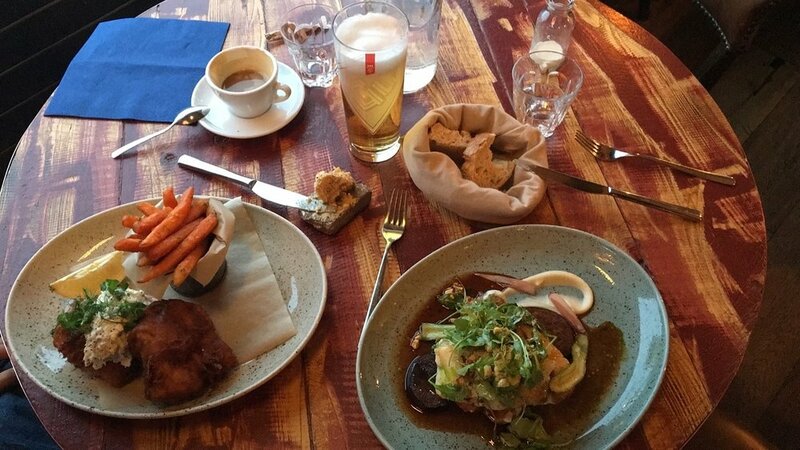 Grab dinner at the quaint old-school diner right outside called Hafnarbuðin. I recommend the lobster sandwich with fries. Once you’ve showered and bundled up, head out around the town and the surrounding areas to see the Northern Lights. I recommend driving past Höfn to get away from the town’s lights. You’ll want to be in a pitch black location to see them. Keep looking up. They’re spectacular and they truly dance in the sky. I saw them dance in green but they can also be spotted in pink (I wish I saw this color! ), yellow, blue, violet and orange. Time to make your way back to Reykjavik for Christmas! If you decide to stay in Vik, I highly recommend staying at Iceland Air Hotel Vik. The city of Reykjavik will be pretty silent since it’s Christmas Eve so this is the perfect time to check into your AirBnB and relax. 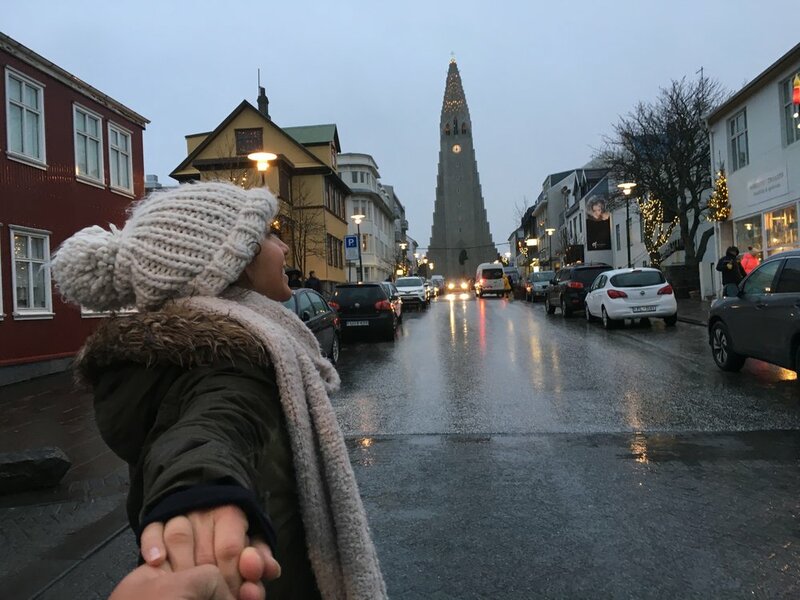 Religious or not, you should attend Christmas Mass at the famous Hallgrímskirkja Church for the experience. The Church is Reykjavik’s main landmark that can be seen from just about anywhere in the city. You’ll hear familiar Christmas songs being sung in Icelandic— it’s a really neat event to attend! Be sure to go to the top of the tower while you’re there! After Mass, walk around the city and admire all sights that you wouldn’t get to on a busy working day. Before heading back to the AirBnB, grab a hot dog at the world’s most successful stand (as honored by Forbes), Bæjarins Beztu Pylsur. The name literally means “the best hotdog” in town. They’re known for the hotdog with everything—ketchup, mustard, fried and raw onion, remoulade and a type of sweet mayonnaise dressing. 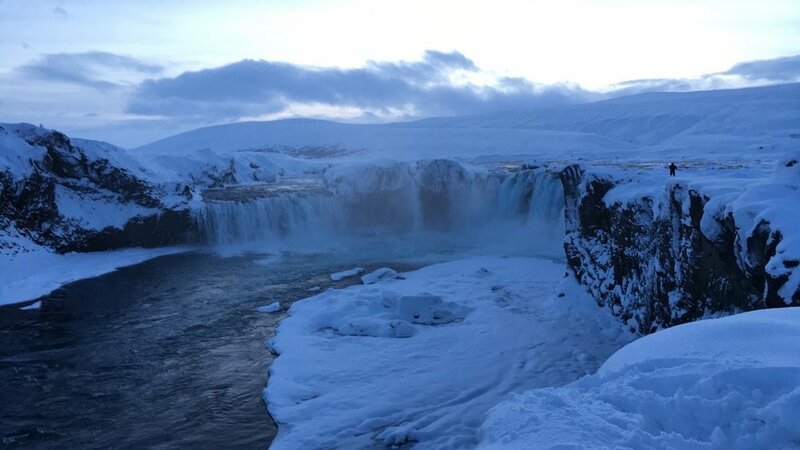 I advise you pass Akureyri to check out Goðafoss waterfall. In Icelandic, Goðafoss means waterfall of the gods. Now it’s time to head back to the hotel to change and head out to a nice dinner at Rub 23. This place has exquisite food! 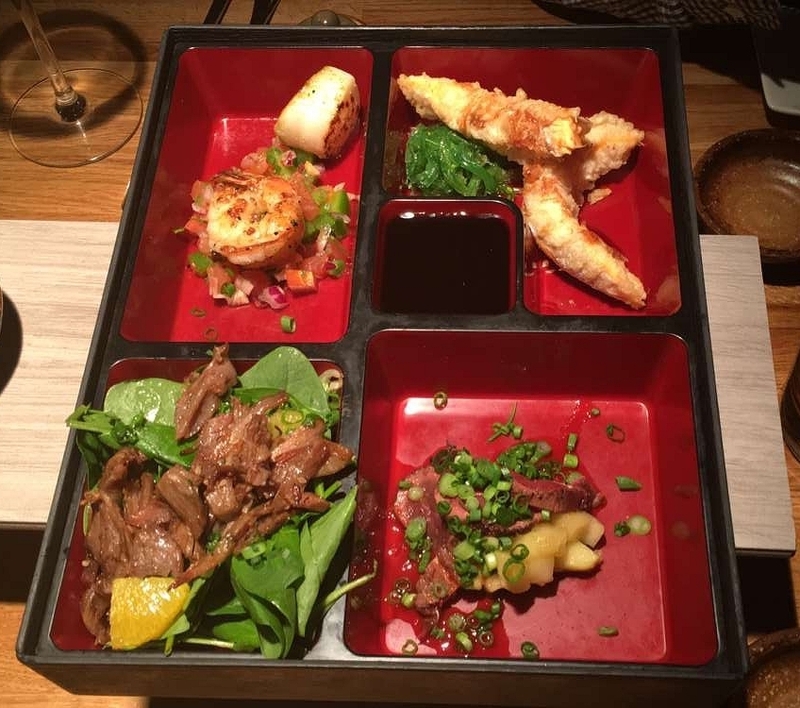 I recommend the platter with shrimp, scallops, duck and reindeer tataki as well as the Arctic char and salmon. 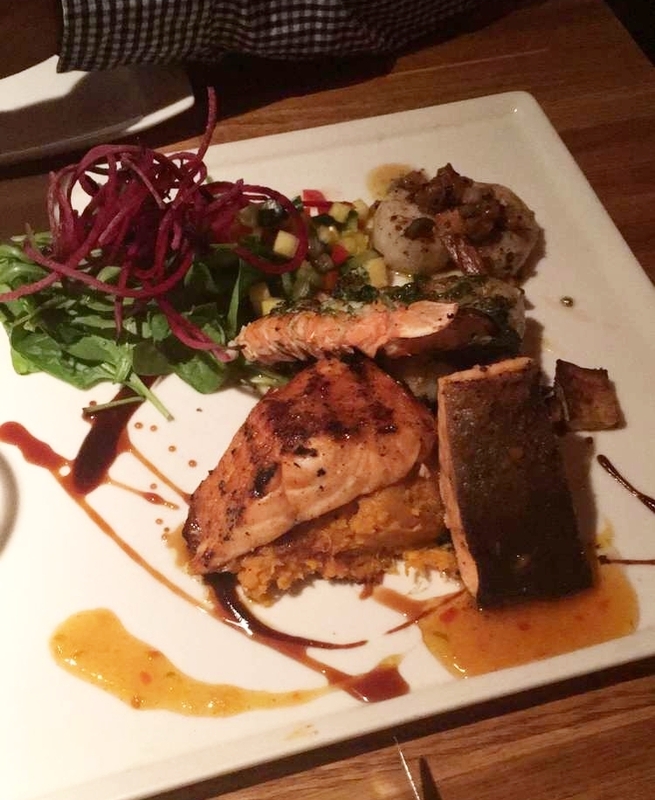 Trust me, it will be one of the best seafood dishes you’ve ever had! We topped it off with coffee Amaretto and macaroons. Before heading back to Reykjavik, I’d recommend dog sledding. Unfortunately I didn’t get a chance to, but if you’re interested, Akureyri is the place to do it! Be sure to book in advance! Remember there’s only about five hours of sunlight a day during the winter. I recommend renting a car (four wheel drive) only if you feel comfortable driving in harsh weather conditions. Weather conditions can get incredibly scary and dangerous to the point of no visibility, strong winds, ice and snow. There aren’t many people living in the country, so traffic is non-existent once you’re outside of the city. Iceland has a fantastic website to check real-time road conditions called Vegagerdin.